Any type of slip and fall or trip caused by a defect or some other party’s negligence are extremely difficult to “win” in Texas. The case that the Texas Supreme Court “re-engineered” to make it more difficult to recover is called Keetch vs. Kroger. The underlying accident on this case occurred in a Kroger grocery store in the flower section. If you read the case and then look at Texas Supreme Court’s ruling, you will think that the justices must have been on some type of drug. There is a four tier test to recovery on accidents on premises in Texas. The accidents are called Premises Liability cases. The first and most important element is the hardest to prove. That element is that the owner or operator of the facility knew of the defect or should have known of the defect. Years ago before the Kroger case, businesses had to inspect their premises for defects. Our Supreme Court said in the Kroger case they don’t have to do that anymore. Even though the case starts out saying “known or should have known” the court said no inspection is required. 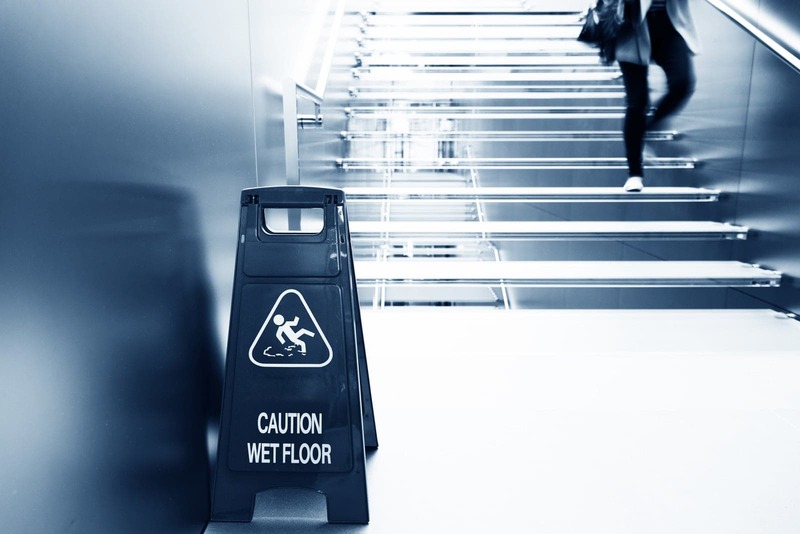 Most of the calls the firm gets on premises liability claims involve liquids or products on the floor. Whenever I talk to a prospective client and they tell me they “fell because of some liquid on the floor in a business” I ask them “how did the liquid get on the floor?” They immediately tell me “I don’t know.” Next, I ask them then who they want to go after and they always say, “Well the business, of course.” The next statement to them is that we have to prove that the business put the liquid on the floor and I ask them if they can do that. Of course they will say “no” to which I reply that they do not have a case unless they can prove that the business or their employees put the product on the floor, knew about it and did nothing to clean it up. Every now and then we do get a “liquid on the floor call” and someone will tell me that it is coming from a leaking ice machine or some equipment in the business. THAT changes the situation and I go to the next questions. Do you have pictures? Do you have a witness and if so what is their name and phone number. Did you go the hospital and I hope to hear that an ambulance came to the scene and picked them up. This is the start of a case in which the firm can be successful in securing a settlement for the client. We have been very successful in regard to Premises Liability cases. We hate telling people that we cannot help them based on the facts of the cases. We have had several “not so good” cases turned into good cases by having our investigators go out to the scene and gather pictures and facts. It is very important to act quickly when you are injured by falling or getting hit by faulty equipment. Here are the rules: 1. Take pictures 2. Go to the hospital or medical facility immediately. 3. Call our office at any time 24/7. 4. Get witness’ names and addresses. Preferably, the witnesses will be people not associated with the business. 5. If you have a known defect, say in your apartment, write letters to the management telling them over and over about the problem (i.e. : the leak, the bad step, etc.) 6. AND FINALLY DO NOT TALK TO THE INSURANCE COMPANY OR AN ADJUSTER AND GIVE THEM A STATEMENT. Sometimes we cannot save you from what you tell them. We have settled serious slip and fall cases in the seven figures. We know what to do, but time is critical and you must follow our instructions. Many attorneys will not even talk to you about a slip and fall or other premises case. We will and we will tell you why you have a case or why we think you don’t. We want to help you understand so that if it happens again, you know what to do.